Article: For CR’s ‘Dragons,’ Strikeouts Are So Much Fun! As the season comes to an end I wanted to reflect on some of what I wrote in my first Twins season at Twins Daily and Zone Coverage. Below you will find a review of my preseason predictions as well as some of my early articles. The Twins finished the year with only 7 fewer wins than I had originally predicted at 78-84. What you may not realize is that outside of the month of April the Twins played .493 baseball with a 69-70 record. What killed them this year, outside of the month of Aprill, was their record in 1 run games (14-21), which was the 8th worst winning percentage in all of baseball. Brian Dozier was part of the laundry list of Twins player who had disappointing seasons, although he might be the biggest bust. Many of the players that underperformed for the Twins this year (Sano, Buxton, Morrison, etc.) were guys that had questions going into the season anyway, but I think many people assumed that Dozier was a lock for at least 30 home runs while slashing somewhere around .250/.340/.500. Your actual winner, in both categories, has to be Eddie Rosario. Although he was a little inconsistent he was the most reliable hitter the Twins had from start to finish. According to FanGraphs WAR and backed up by the eye test, Berrios was the Twins best overall pitcher this year. He improved in almost every metric and at only 24 years old, I think Twins fans should be excited for the pitcher Berrios is becoming. That said, I think an argument could be made for Gibson who was probably the most consistent Twins pitcher this year and is coming off a career year. Nobody could have possibly foreseen the disaster that was Addison Reed this year. He is #2 on my list biggest busts this year behind the aforementioned Brian Dozier. According to FanGraphs WAR, this season was the worst season of his career. We have another year with him, so lets hope the law of averages applies and he kills it next season. The actual Relief Pitcher of the Year would Taylor Rogers who lead all reliever with a WAR of 1.8. A note to make here is that Trevor May looked really good coming out of the pen...something to keep in mind for 2019. Gonsalves had his shot to make an impact and his minor league numbers made it seem like he could succeed at the big league level. Unfortunately, those numbers didn't translate at he really struggled with his fastball command and overall control...something he is going to need to figure out when he only throws 90 miles per hour. Again using FanGraphs WAR as my barometer, Mitch Garver and Jake Cave tied as the top rookies with a WAR of 1.3, and I am okay with naming Co-RoY's as I think they were both deserving. Despite having one year left with Jason Castro, I think Garver cemented himself as the primary catcher heading into 2019. In the case of Cave, I think he provides a viable option to compete with Kepler for the RF job entering 2019 spring training while also providing a good "plan B" if Buxton never figures it out. My prediction was somewhat accurate as he did have a pretty good 2018 in the minor league system and never did look back once he was called up, but that was more because of the September 1st roster expansion and (much) less because of how he was performing. I've already addressed what went wrong above and will do a more in-depth dive soon. My prediction had Gibson giving us about 180 innings with an ERA around 5 and I had estimated that he wouldn't be able to keep up his 2017 second half K/9 and BB/9 rates. He ended the year with 196.2 innings, an ERA of 3.62 (xFIP of 3.91), and did maintain his K/9 while walking an additional batter per nine innings in 2018. Needleess to say, I think the Twins were impressed with what they got from their sinkerballer as he put together the best season of his career. The guy who I had pegged as our #5 pretty quickly established himself as our #2 or #3, which might say more about our pitching staff than about him. Felix Jorge was my "adopt-a-prospect" pick who had an injury-riddled 2018. I had predicted we would see him in 2018 and still think we would have had he stayed healthy. 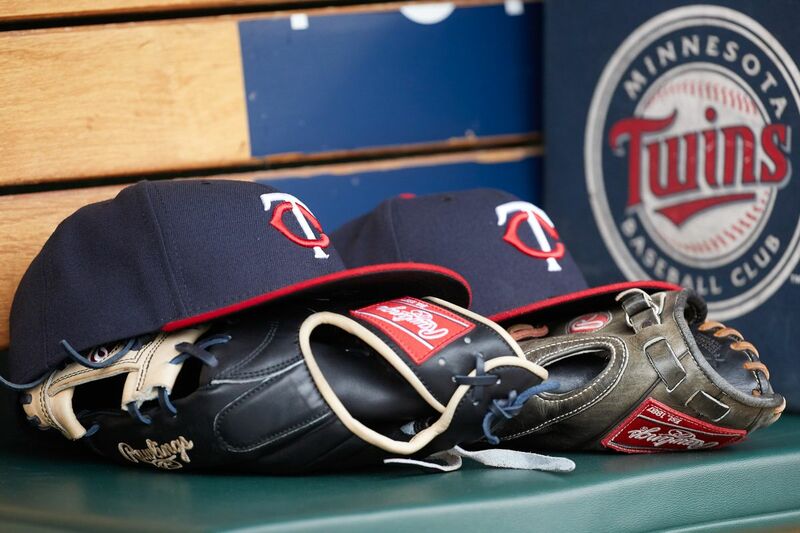 Although 2018 was a loss, he is still young with the potential to make an impact with the Twins in 2019. This is all you need to know about my prediction with the LoMo signing..."I think this is why Twins fans can be confident in the deal they got with Morrison. His 2017 wasn’t a random fluke. It was a purposeful change in approach and mechanics that lead to some great results. Personally, I am expecting much of the same in 2018." Ouch, man, ouch. So there you have it...my 2018 season in review. Hopefully, 2019 will see better predictions from myself and better performances from the Twins. Any feedback you readers have for me would be greatly appreciated in the comments! Nicely done this year Matt. Really appreciate the time and effort y'all put into TD. Thanks, MN_ExPat for the kind words. It's great to have a place where I can share my thoughts with others who are passionate about the Twins.